Performing basic monitoring and tuning exercises. Development systems at Oracle in Redwood Shores, California. 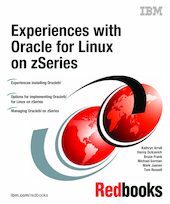 This book will be of use to those customers who are using Oracle9i for Linux/390 on zSeries for the first time.